W 75" | D 31" | H 77"
ANACONDA "CHARCOAL" VINYL WITH BLACK TACKS, BLACK LEGS AND TASSEL. If your life were a movie, you would sell out box offices globally and win an Oscar for the Best Actor. Not only are you the hero of your drama but also the heart breaker, the tearjerker, and the villain. 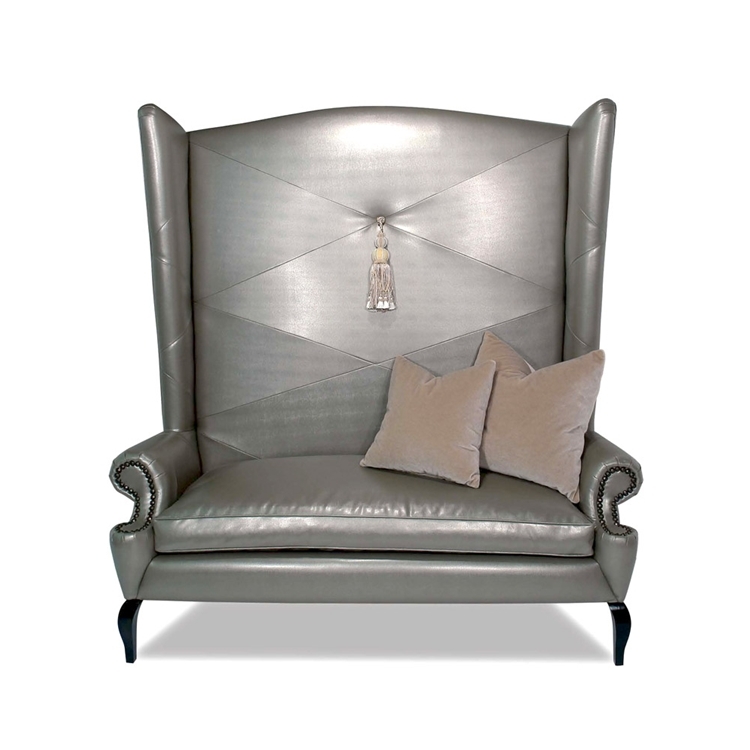 This Teatro Banquette is as dramatic as you are. Go ahead, take a bow. Customize any Haute House Home piece to your liking. Item sold as shown online with standard foam fill cushion. Call 323.256.2800 or email us at info@hautehousehome.com for custom options.